Physical activity (PA) interventions to address noncommunicable disease (NCD) risk are commonly delivered in private practice and outpatient physiotherapy settings. 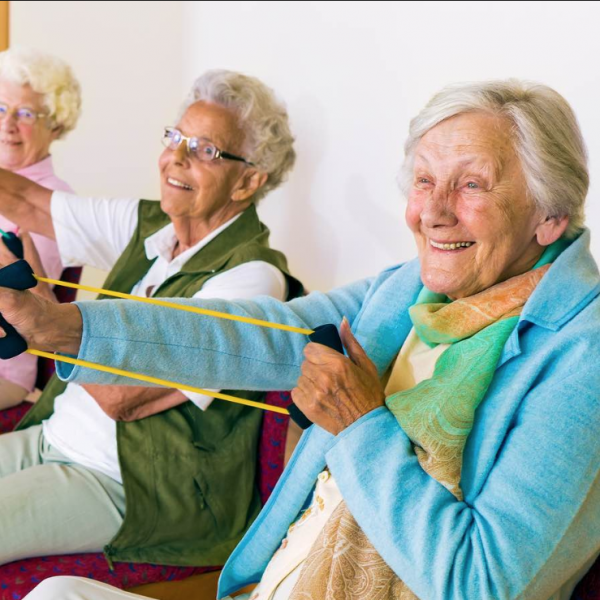 This study reviewed the efficacy of physiotherapist-led physical activity (PLPA) interventions at improving PA levels. Twelve databases were searched using terms related to both physiotherapy and PA. English-language studies of all designs in adults were included. Meta-analyses were conducted separately for interventions measuring the following: (1) participants meeting recommended PA levels; (2) total PA at short- and long-term follow-up; and (3) total PA achieved after short and long PLPA interventions. Pooled effects were calculated using a fixed-effects model as standardized mean differences (SMDs). Nonstatistical analysis was used to identify the effect of PLPA interventions on the volume of PA performed at different intensities. From an initial 4140 studies, 8 were retained, and risk of bias ranged from low to high. Meta-analysis showed the odds of adults meeting minimum recommended PA levels were doubled in groups provided a PLPA intervention [OR = 2.15, 95% confidence interval (CI) = 1.35-3.43]. Total PA levels were increased in the short term (SMD = 0.15, 95% CI = 0.03-0.27) but not in the long term. Longer term interventions did not improve outcomes. Nonstatistical analysis identified that PLPA interventions were efficacious at increasing the amount of PA adults performed at all intensities. Clinic-based PLPA interventions delivered in private practice, primary care, and outpatient settings were efficacious at increasing PA in adults at risk of NCDs. Improvements did not last long term and were not enhanced with longer interventions.